Clock out. Rush into the tiny bathroom. Change into volunteer clothes. Run out the door and speed down the highway towards my next call to action: Safe Haven for Cats. I arrive and find my task, which is some mighty super heroic paperwork. Alas, the Blue Beacon has a weakness to cat dander. However, the development of superpowers due to my super heroic duty is not impossible, and wondrously I only sneezed twice during the two hours I spent being swarmed by adorable kittens. Yeah, today’s volunteer activity was my biggest challenge yet. Spending my lunch break with cute baby kitties was a huge sacrifice. 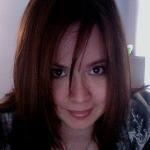 Another hero arrived on the scene soon after–Amber Smith of Activate Good. She brought a camera and recorded some pretty awesome footage of the whole experience. Sometimes when you volunteer, you get to watch orphaned three-week old kittens being bottle fed. Other times, you get to clean poop. In this case, you get both. I was very impressed with the spirit of volunteerism at Safe Haven for Cats. Some non-profits offer more glamorous service opportunities than others. Sometimes you get to ladle hot soup to a grateful old man in a tattered coat and feel the warmth of filling an empty stomach and a lonely soul. Sometimes, you just pack boxes. I’ve done all kinds of service over the years, and the fact is this: No matter how fancy or dull the job, the job is important, and it’s changing lives. 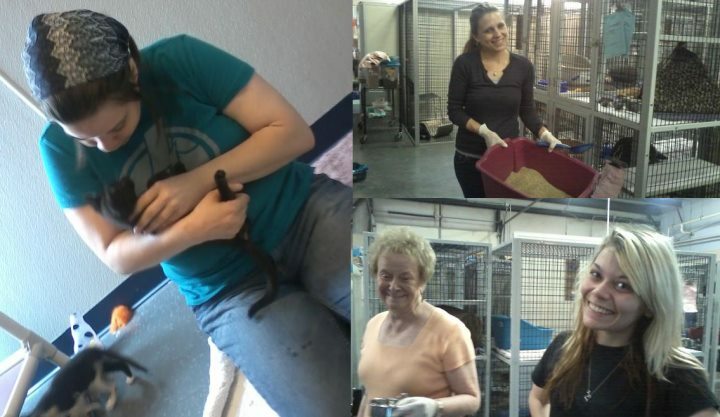 In this case, the incredible six-member team of Safe Haven volunteers descended upon the dirty cages and empty food bowls and, by the end of an hour, had deftly cleaned an entire warehouse of dozens of kitty-crates. It’s hard work, but they come back and do it week after week because if they don’t do it, who will? Their passion for the welfare of these small animals inspired me. Their reward? At the end of each volunteer session, these dedicated people sit inside the cat’s own crates and snuggle each and every kitty, to make sure they feel loved and remain affectionate and adoptable. Purring shook the building. I was tired as I drove to Safe Haven for Cats, and when I left I had to choose between either eating, sleeping, or showering before heading back to work. I chose sleep, and had to shovel pasta as I sped onward to the next half of my work day. It’s only Day Two, but I can already tell being a superhero is going to involve sacrificing sleep and sometimes basic needs for the sake of the mission. But isn’t that what superheroes do? Besides, some good things are already starting to happen as a result. But I’ll tell you about those later. Suffice it to say, I may be more like Clark Kent than I ever thought I’d be.